Should Technicians Care About These Ratios? Investors use financial ratios to investigate a stock's health before investing. These ratios help assess the valuation of a company and are a primary tool for fundamental analysis. 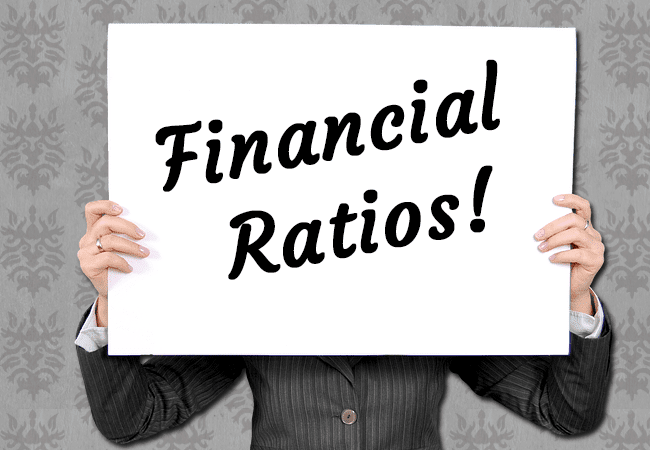 In this post, I will describe the 5 main pillars of ratios and then the 10 most popular financial ratios. Whether you perform fundamental analysis or are a technician, it always helps to be aware of these ratios. 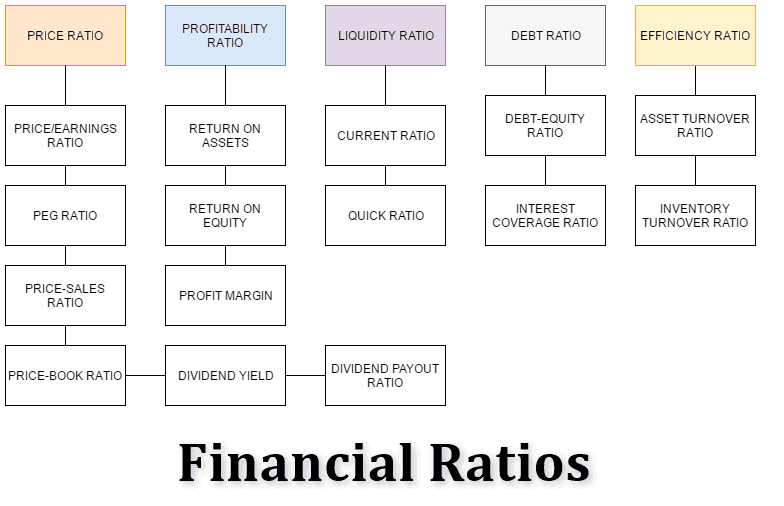 Before we dive into the top 10 financial ratios, let's first discuss the five major categories of ratios: price, profitability, liquidity, debt, and efficiency. As you can see there are 15 ratios beneath these categories. Well after we discuss the five main categories, we will highlight the top 10 ratios. Price ratios determine the relative value of a stock. These ratios are ideal for comparing stocks within the same sector. Profitability ratios show if a company is making profits efficiently. Liquidity ratios display if a business is able to meet its short-term obligations. Debt ratios determine the long-term health of a business and the effect of capital and financing structure of the business. Efficiency ratios show how a business is utilizing its resources invested in fixed assets such as machinery, buildings, and equipment. Now that we have discussed the main types of ratios, let's dive into the top 10 ratios. P/E ratio falls under the category of price ratio. The P/E ratio is the price of a stock divided by its earnings and tells you the price you pay for every $1 of earnings. A lower P/E ratio is ideal as you are not overpaying for the company. The ratio can vary between industries and there is no fixed number. In the below example, Disney is reporting diluted earnings per share (EPS) of $5.54. The stock is also trading at $110.06. 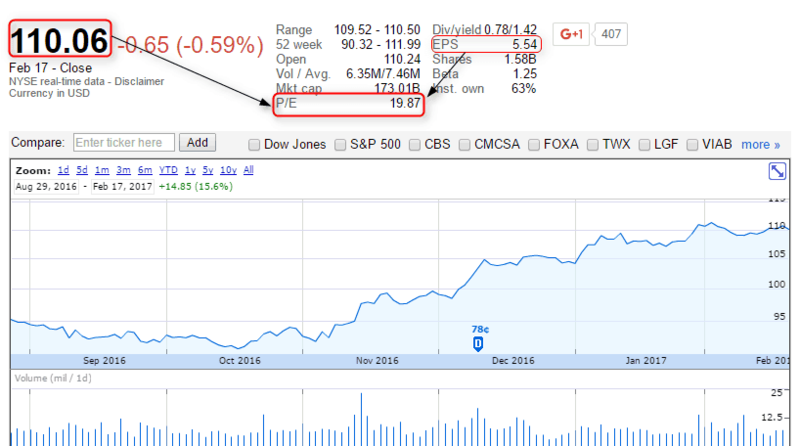 To calculate the P/E we take the share price of $110.06 and divide by the earnings by share of $5.54 to arrive at a P/E ratio of $19.87. Please see the below image for further details. The PEG ratio is based on the P/E ratio and further divides the P/E ratio by the potential earnings growth. PEG ratio is understandably closely related to the P/E ratio and is part of the price ratio family. Lastly, a PEG ratio of 1 or lower is better for valuation with a PEG ratio of 1 is said to infer that the company is at fair value. Price to book value shows the amount you have to pay to own $1 of equity. It is similar to Price/Earnings ratio except that book value per share is considered rather than the share price. Book value is already listed on the balance sheet and is also known as shareholder equity, which is the portion of the company owned by stockholders. The return on assets shows how well a company is utilizing its assets to make money. For example, if a company buys equipment or a building, the RoA will show the efficiency of the assets. The return on asset is derived as dividing the net income by the average total assets, the values of which are derived from the income statement and the balance sheet. The profit margin is a ratio which calculates sales that flow through a company's bottom line. Higher or increasing profit margins are of course preferred by shareholders and the value is based on dividing the net income by sales. the current ratio measures a company's ability to pay its short-term liabilities using its short term assets. 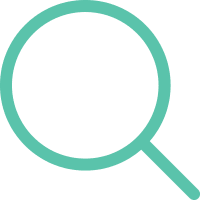 The figure is represented as a number and it is generally accepted that a current ratio of 1.0 or higher indicates that the business has more short term assets than debts. A value of less than 1.0 indicates a business has higher debts than short term assets. The current ratio will show the business vulnerability to any downturn in the economy or sector. The current ratio is calculated by dividing current assets by current liabilities, both these values are found in the balance sheet. It is similar to the current ratio as it shows how well a company can meet its short term debt or liabilities with the difference being that the quick ratio does not account for inventory as it is not considered immediately available like cash or an asset. The quick ratio calculates the difference between the current asset and inventory divided by current liabilities. Above all, a quick ratio of less than one means the company is facing problems paying back its current liabilities and thus should be avoided at all costs. The debt to equity ratio falls under the debt ratio category and it measures the relationship between borrowed capital and capital contributed by shareholders. You can calculate the ratio by dividing the total liabilities by the total shareholder equity. A rising debt-equity ratio means an investment in the company becomes riskier as it is unable to meet its debt obligations. You can calculate the asset turnover ratio dividing sales by the average total assets. It is similar to the return on asset but falls under the efficiency ratio. This gives investors insight into how effectively the management team is running the company. The ratio measures how well the company is using its assets to make products. The asset turnover ratio is a multiple. So a ratio of 2 indicates that for every $1 in asset owned, the company generates $2 in sales. To measure the asset turnover ratio, you need the sales and the average total assets, the values of which can be found in the income statement and the balance sheet. As the name implies, the inventory turnover ratio focuses on measuring how quickly a company can sell its inventory. Typically a higher turnover is favorable as it can point to slower backlogs or stockpiling of inventory. You calculate the inventory turnover ratio by dividing the cost of goods sold by the average inventory. Both values are in the company's income statement and balance sheet. Inventory turnover ratio can vary, especially when you look at retail stocks. This is because retailers generally have higher inventory, especially during peak shopping periods. 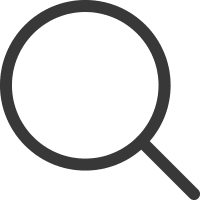 The above image is of a stock screener which you can use to search through the thousands of securities to find the ones that match financial ratios that best match your trading style. Trust me, it's much better to use a scanning tool versus manually going thru calculating these ratios by hand. Well, this is a yes and no answer. If you are a day trader, you probably are not focusing on the 10 ratios in this post. 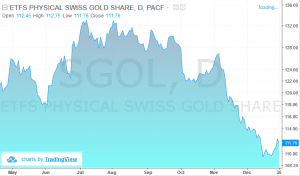 You will likely care about ratios such as the float of a stock. For these day traders, the lower float stocks imply a stock will become impulsive on a breakout. As you move up in the timeframes you will notice these ratios play a more important role in your analysis. Why? Think of the technicals as your clue of when to execute a trade but the fundamentals tell you what to invest in. So, to quickly summarize day traders should focus on the float, swing traders should be aware and long-term investors should have these ratios on speed dial. 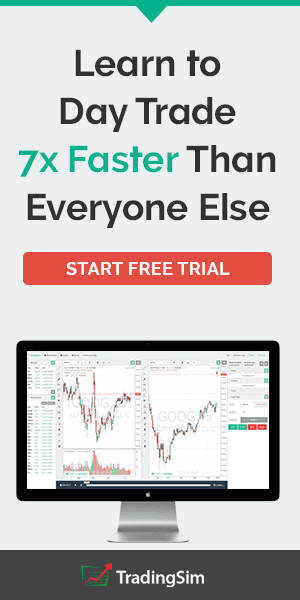 If you are looking to combine both fundamental analysis with technicals, you can use Tradingsim to practice executing trades based on the desired financial ratios.